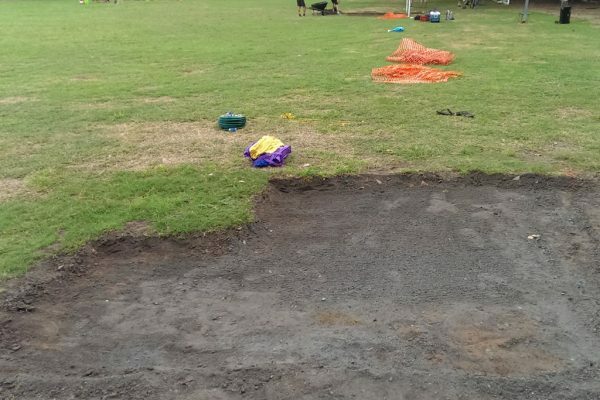 With the 2015 bearing down on us, we decided to undertake some turf laying on the Western end of the pitch in both the goal section and corner section. Both areas were fatigued and had compacted dirt where lush turf should be. Unfortunately, rain messed up the turf delivery for two weeks in a row. This meant that the Working Bee on Saturday 28th would be the first of two and would focus on cleaning out the shed as well as preparing the sections for turf laying the weekend after. With a great turnout of members, we also focused on removing weeds (in particular the bindy patches) from the southern wing of the pitch. This will give the existing couch grass a chance to re-establish itself. Unfortunately, weed removal will be an ongoing task throughout the season and is not going to be an easy fix. Constant work will be required to get the weeds under control over the winter months. 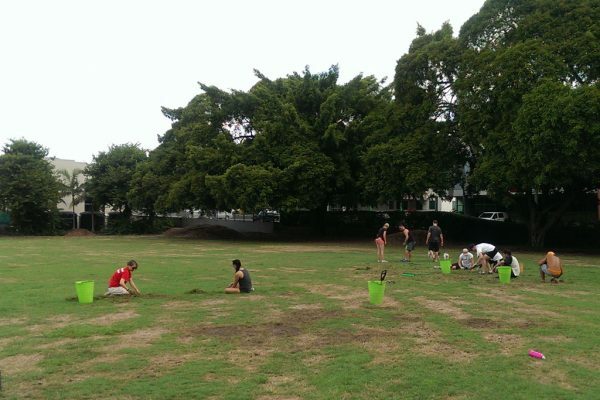 Part 2 of the Working Bee – “The Laying of the Turf” will happen on Saturday 7th March 2015 and again, any help would be greatly appreciated.